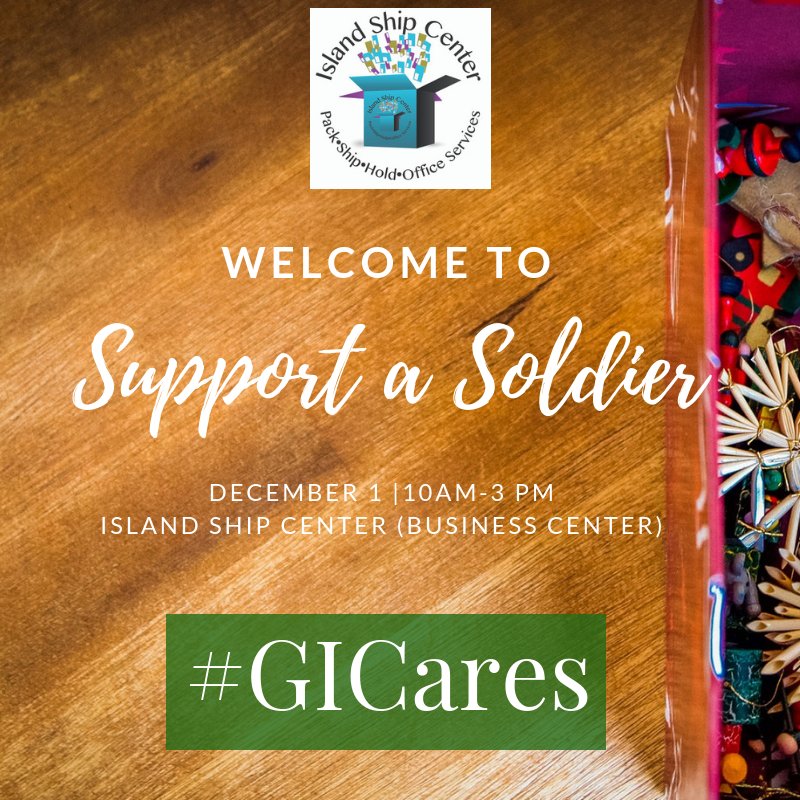 We are working with Colonel Patrick Soos once again this year to ship out care packages to active duty military personnel from Grand Island, stationed away from their families, in time to arrive for the holidays. This event is set for Saturday, December 1st, from 10 AM to 3 PM. In the meantime, you can come by the store and drop off your donations, monetary or otherwise, and we’ll be sure to use 100% towards this event. We have created a special account in our POS software called, “Support A Soldier.” Any money collected in this account will be used for shipping the boxes to our military men and women stationed away from home. We are also collecting new items to place in the boxes, items like socks, toiletries, cards, candy, snacks and other items that are allowed to be shipped. Last year, we had a nice collection of hand made cards made by the children at Sidway Elementary School and we included at least 3 cards per package for each soldier. We are truly honored to host this event and look forward to your support again this year. We welcome many tourists and visitors at our store, especially during the summer months. They are looking for unique gifts that they can take back to their family and loved ones. Yesterday, we had a visitor from Lichtenstein, the 6th smallest country in the world, which has a population just less than double that of Grand Island! He really enjoyed looking at the gifts in our store. He ended up purchasing some New Yankees pencils, along with one of my wife’s handmade body creams. 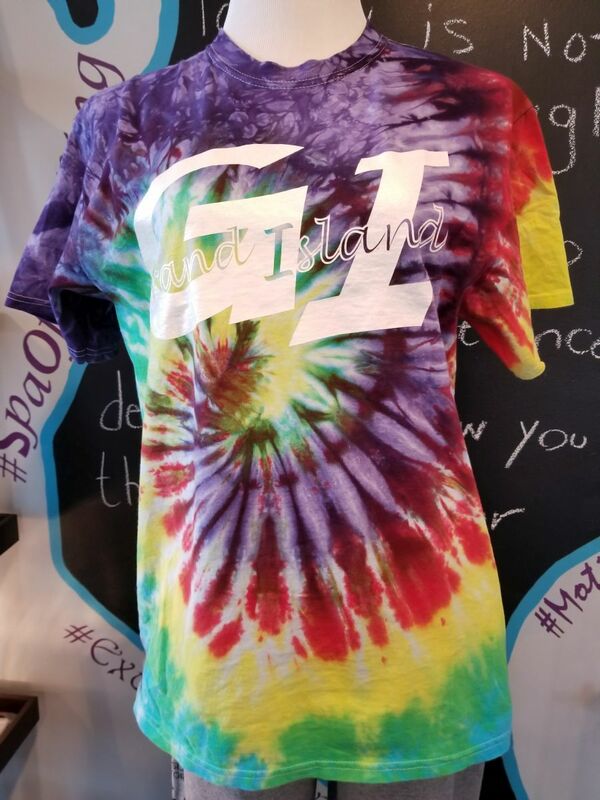 Another thing that caught his eye was the new assortment of Grand Island tie dye t-shirts that have recently arrived. One of our vendors was preparing a stock lot of t-shirts for another client and contacted me to see if I wanted some of these shirts. I quickly asked him if he could print them out with “Grand Island” on them, just for me. He accepted and now, we have 2 styles in stock, for a limited time. They sell for only $19.95 each and many people love them, especially our out of town visitors, who have some connection with Grand Island in the past. As always, we are happy to be in the business of making memories. Thank you for your kindness, business and support.